NATURAL FOODS THAT TRIGGER ECZEMA. Atopic dermatitis or eczema is a condition that causes a person to develop patches of dry, itchy skin on their body. It often develops as a result of inflammation in the body, so eating foods that do not cause inflammation may help reduce symptoms. While no cure exists, there are natural foods and supplements made from pure natural ingredients that can help to reduce inflammation. It is advisable that whoever that is experiencing eczema symptoms avoid foods known to make it worse. Dairy products, including cow’s milk, yoghurt, butter and cheese, are the second most common allergy food seen in eczema sufferers (after egg). Dairy products can also cause damage to the lining of the gastrointestinal tract. When the gut lining is damaged from eating dairy products, tiny holes allow larger food particles to enter the body and allergic reactions and sensitivities can result. Naturopaths often refer to this as ‘leaky gut’ and the medical term doctors use is ‘increased intestinal permeability’. Yoghurt is particularly bad for eczema as it often contains added sugar, fruit flavourings, amines (histamines from fermentation) and a natural colour called Annatto (160b) which can trigger eczema. It’s important to take a calcium supplement (instead of consuming dairy products) as calcium deficiency can contribute to eczema, and the eczema will not improve until this deficiency (if present) is corrected. 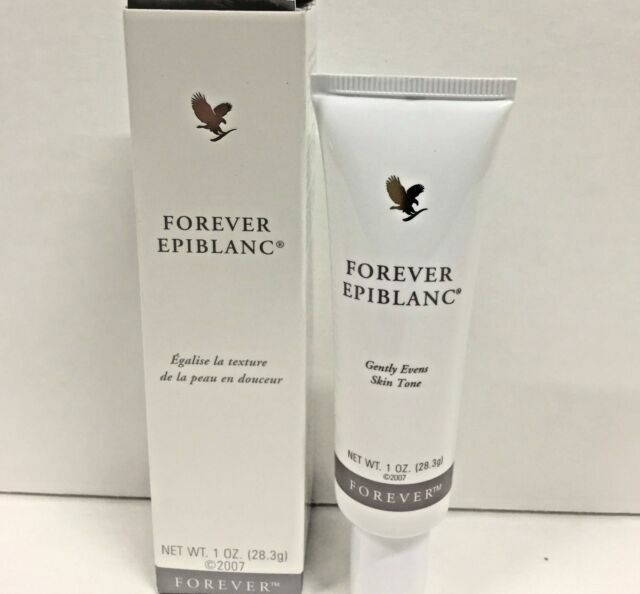 I like to prescribe Forever Living Calcium with added magnesium and glycerin as these products promote a good night’s sleep, which eczema sufferers often lack. If you have eczema or asthma, avoid grapes and grape-products such as wine, sultanas, raisins and grape juice. Why? Because grapes are a “triple threat” as they are a very rich source of three itch-promoting chemicals called salicylates, amines and monosodium glutamate (MSG) which are known to worsen eczema. Salicylates are a natural pesticide made by many fruits and vegetables, and it’s also found in aspirin, perfumes, herbal medicines and baby teething gel. Instead of grapes, eat peeled pears as they are a low-salicylate eczema-friendly alternative. Forever 2GO does wonder in this aspect, you can give it a try. Oranges and orange products including juices have similar properties to grapes as they are a strongly acidifying fruit, and a rich source of two itchy chemicals: salicylates and amines. 36% of eczema sufferers experience a worsening of eczema symptoms when they eat amine-rich foods such as oranges. (Loblay and Swain 2006). Kiwi fruit can make you itch like mad as it is a strongly acidifying fruit and a rich source of salicylates and amines which commonly trigger eczema. Did you know food chemical intolerances can take days to appear? After you have eaten an irritating food such as kiwi fruit, reactions can either be immediate or the next day but they can also occur up to three days later. No wonder people are confused about food intolerances. Soy sauce is very rich in amines and MSG (both natural or artificial), so they can trigger eczema and other types of skin inflammation. 35 percent of eczema sufferers experience a worsening of eczema symptoms when they eat glutamates including MSG (Loblay and Swain 2006). Tomato and products containing tomato including tomato ketchup and spaghetti Bolognese, are another triple threat as they are very rich sources of salicylates, amines and natural MSG. The three worst chemicals for triggering eczema! We have had hundreds of reports from eczema sufferers who say avocado worsens their eczema. This tip may surprise you but it could save you years of pain. Broccoli, spinach, silverbeet and kale can worsen eczema symptoms because they are another ‘triple threat’ – all are rich sources of itch-promoting salicylates, amines and natural MSG. That’s why we like them so much… MSG is highly addictive. That doesn’t mean these foods are bad just problematic while you have eczema, if you are sensitive to salicylates. But you won’t know if you are sensitive to salicylates (or amines or MSG) until you avoid these foods for a couple of weeks, then test them again. In the meantime, eczema-friendly alternatives are the greens that are lower in salicylates and these include green beans, iceberg lettuce and celery to name a few. Tip: after your eczema has disappeared, gradually expand your leafy green intake. Dried fruits contain a range of problematic chemicals – you could say they are a quadruple threat as they can contain salicylates, amines, MSG and sulphites! All types of dried fruits including dried apricots, dates, prunes and sultanas, contain high levels of itch-promoting salicylates and amines, and some also contain the preservative sulphur dioxide and natural MSG which is why they are flavoursome. But they will make you itch like mad. So skip the dried fruits in cereals, avoid muesli bars and ditch the dried fruits in your child’s lunch-box. Deli meats including sausages, ham, bacon and flavoured meats, to name a few, are high in nitrates, flavour enhancers and saturated fats, which can worsen the itch of eczema. Nitrates triggers eczema symptoms in 43 per cent of eczema sufferers (Loblay and Swain 2006). But it’s not all bad news, good quality meats such as skinless chicken, lean lamb and beef are fine to eat, (organic is best as antibiotics are not used). And if you are not sensitive to seafood, fresh fish is a healthy option. More than 70% of eczema sufferers are allergic to eggs according to ‘skin prick’ and patch testing. Another reason to avoid eggs includes the risk of ‘egg white injury‘ (yes, that is the medical term). If eaten on a frequent basis raw eggs can cause a biotin deficiency that can trigger eczema. While not everyone’s eczema is caused by raw eggs, this information from The Eczema Diet is interesting food for thought. New Zealand researchers discovered children who eat fast food (take away foods) three or more times per week are significantly more likely than other children to develop severe eczema. The researchers from Auckland University used international data compiled from almost two million children and found they were not only more prone to eczema, they were also more likely to develop asthma. How to prevent eczema from the inside out? The Eczema Detox is a healthy low chemical diet that is low in sugar and totally free of glutamates/MSG, preservatives/additives and dairy. It also has plenty of gluten-free and vegan options. The Eczema Detox, which was published in 2018 and is the new version of The Eczema Diet, also shows you how to successfully diagnose food intolerances and chemical intolerances (via the FID Program), so you know what to avoid and what to eat to become eczema free. There are a range of nutrients to help prevent chemical sensitivity and repair eczema-prone skin, including magnesium, molybdenum, zinc, biotin, vitamin B6 and a range of vitamins to deactivate salicylates and other itch-promoting chemicals. Molybdenum deactivates sulphite preservatives and amines; anti-histamine vitamin C and vitamin B6 to help reduce allergic reactions (it gradually works over a three month period). But it’s also what you avoid (in supplements) that can make a difference… Supplements usually contain hidden additives that can cause adverse reactions if you are a sensitive type of person that is prone to eczema. 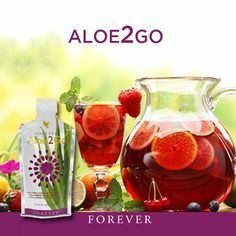 Try Forever Living Pure Aloe Vera Supplements. Forever Essential Carrier Oil for eczema treatment. You can also use skin care products to moisturise and hydrate your skin. But keep in mind, your skin is literally made from the nutrients supplied in your diet (in the foods and drinks you consume). So it makes sense … change your diet, consume the right nutrients, and you will change your skin from the inside out.